New York City’s bright lights were given a run for their money over the holiday season when Stella Artois brought its interactive Stars installation to the Big Apple as part of its Give Beautifully campaign. The holiday program was designed to pay homage to the history of the brand, which was originally named after the Christmas star and crafted as a gift for the town of Leuven, Belgium. The exhibit opened for a select crowd on Dec. 9 at the Skylight at Moynihan Station with an appearance by John Legend. The award-winning artist debuted his song “Under the Stars,” an exclusive holiday single written specifically for the Give Beautifully campaign. No ordinary ballad, it was the first song to incorporate the distinct sounds of different stars in the universe into the tune. That’s right—stars can produce sound. The frequencies by which a star’s brightness changes can be translated into audible tones, and Stella leveraged the expertise of astrophysicist Zoltán Kolláth to make it happen. 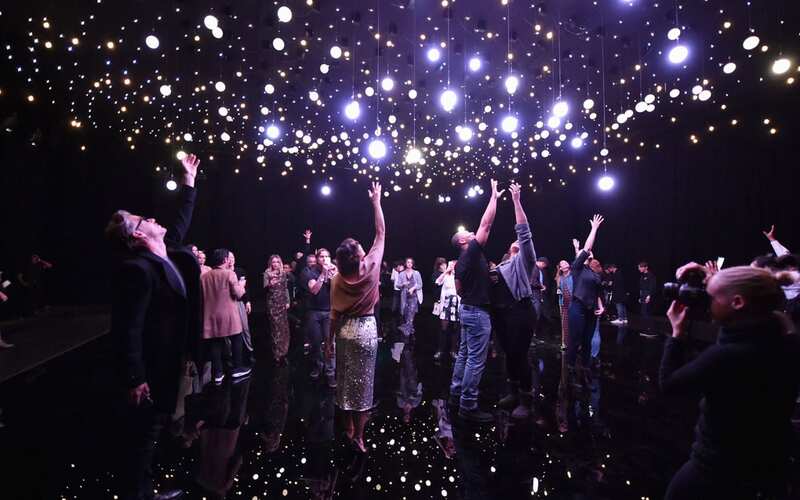 The stars consisted of clusters of more than 500 interactive and kinetic LED lights, giving visitors the impression that they were walking through an endless star-filled sky. A mirrored floor in the middle of the space created the added sensation of being completely immersed in starlight. As guests roamed, select stars followed and gravitated toward each person, making them the center of the stars’ orbit, and creating a unique experience for each individual. At the center of the space, the stars were denser, drawing attendees to the interactive portion of the installation where five “photo” stars were strategically placed. The designated stars glowed the brightest and as guests stood underneath and were encouraged to reach out for them, the motion prompted ceiling-mounted cameras to capture their photo. The entire experience was audio reactive, meaning each time a photo was taken, the installation made a different sound, mimicking the different tones of real stars. Attendees’ photos were displayed on a photo wall in an adjacent room where the images could be retrieved by email and shared on social media using @StellaArtois #GiveBeautifully. 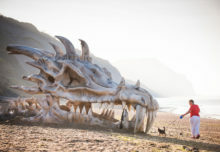 “The goal behind the exhibit was to create a unique and memorable experience that would result in world-class content, drive impact for Stella Artois’ holiday campaign and tell the story of our brand’s origin,” says Ricardo Marques, vp-marketing, high-end imports for Stella Artois’ parent company, AB InBev. 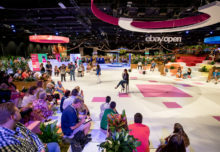 “By creating an immersive, shareable experience, we hoped to be able to attract and surprise our guests, but also to produce compelling content and stories that would travel beyond the four walls of the event itself.” Agencies: Mother, London; UNIT9, New York City.